Exciting Exhibit in Brussels, Belgium! 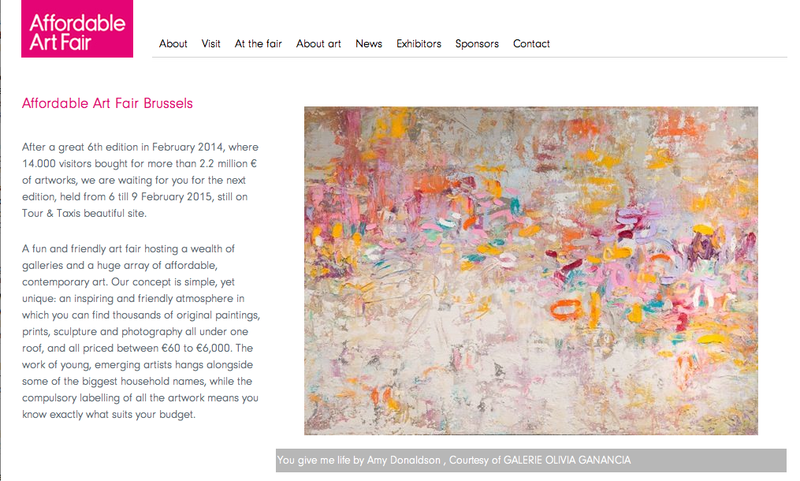 This February 6 – 9, 2015 don’t miss Amy Donaldson’s newest work featured in Brussels, Belgium’s Affordable Art Fair. Represented by Galerie Olivia Ganancia from Paris, France.